Does the Equus feel a little too conservative, inside especially? Then you may want to take a look at the Genesis, which feels somewhat sportier. The 2014 Hyundai Equus gets even closer to what discerning luxury-car shoppers want—even if it still doesn't have the cachet. The rear-wheel-drive Equus and Genesis premium sedans at the top of Hyundai's lineup have, without a separate luxury badge, already put the brand within striking distance of Mercedes-Benz, Audi, Lexus, and Jaguar—if you don't need the cachet of those luxury badges, that is. And if that's the case, it's definitely worth taking a look at the 2014 Hyundai Equus, which otherwise looks and feels every bit like a luxury vehicle. The Equus has been refreshed this year with a more cohesive design, new materials, new active-safety features, and even more high-end luxury features. With a new grille design and front bumper fascia, as well as standard LED front fog lamps and new turbine-blade wheels (plus new side mirrors and rear graphics), the 2014 Equus gets a new look that's not only sharper but looks like an upmarket relation to the roomy Azera sedan introduced last year. Inside, the instrument panel and center stack have been completely redesigned, with a softer yet more upright look, shedding the 'executive car' layout of last year's model and taking on a look also in line with Hyundai's latest, sleekest models. Complementing that are a new shift-lever design, new premium real wood trim, and redesigned rear-seat controls. The powertrain carries over; which is a good thing. The 429-horsepower 'Tau' V-8, fitted with an eight-speed automatic transmission that you can shift manually when desired. The V-8 has all the latest technologies, such as direct injection, dual continuously variable valve timing, and tuned variable induction, and the combination can hustle this sedan to 60 mph in about six seconds—accompanied by, as we've found in previous model years, by an atypical (for a luxury sedan) brawny burble and ripple. Fuel economy ratings are 15 mpg city, 23 highway. The Equus leans toward the luxury side of the line that divides crisp handling response and a comfortable, isolated ride. An air suspension on all Equus models includes Sport and Normal modes, which have been recalibrated this year for more separation (better handling and more comfort, respectively), and front suspension bushings have been upgraded. 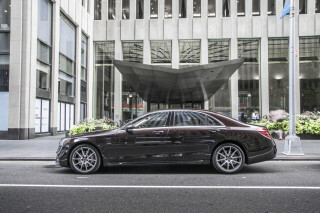 It's quite softly sprung now in Comfort mode, while its Sport mode is still not quite to the Lexus LS F Sport's level of tautness--not to mention anything floated in on a freighter from Germany or the U.K. The Equus was named an IIHS Top Safety Pick, and for 2014 some important active-safety features have been added. A Blind-Spot Detection system is now standard, and on the Ultimate model there's a head-up display. Ultimate models also include a multi-view camera system. Both models include a Rear Cross-traffic Alert system, and a lane departure warning system is available, with audible and visual warnings and even a haptic seatbelt warning. Smart cruise control is also available. Nine airbags (including a driver's knee bag), active front-seat head restraints, and Brake Assist are included across the lineup. Even the Equus Signature comes as an extremely well equipped luxury car, with more standard features than many models from prestige marques. HID headlamps, LED front fog lights and exterior lamps, rain-sensing wipers, water-repelling front glass, heated power-folding mirrors, and a heated windshield are all standard; and inside the Signature includes leather upholstery, heated-and-cooled front seats, a 12-way memory driver's seat, full steering-wheel controls, a sunroof, tri-zone automatic climate control, real wood leather accents, smart cruise control, a power rear sunshade, proximity entry, push-button start, HomeLink, and a 17-speaker Lexicon surround sound system. A navigation system with XM traffic and weather data, Gracenote, and 30GB storage is also included. Limousine-like Equus Ultimate models on top of all that add a rear entertainment system with dual 9.2-inch screens, rear-seat audio and climate controls, upgraded instrument-cluster displays, power door closures, a power rear seat, cooled rear seats, a cornering camera, power side sunshades, and a head-up display. The Equus assembles lots of luxury looks in a cohesive shape, but it doesn't stand out. Minus the glitz of some boastful luxury sedans, and the glamour of the truly ultra-premium offerings, the Hyundai Equus is content to look smart and subdued. It's absorbed the lessons of those other brands in big gulps. The Equus drapes some familiar themes over its large-car body--the wide grille could come from Mercedes, the rear quarter panels have stampings like those on a Cadillac or Buick, and the headlamps have more than a passing resemblance to those on the Lexus LS. 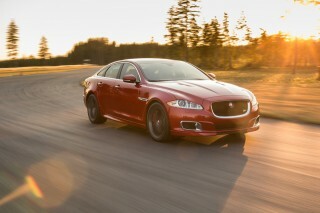 It's by no means an assertive look like the ones carved out by Jaguar and Cadillac--but sometimes drama is just drama. The Equus' cabin has been reworked this year, with a few more distinctive touches. The finishes have been removed of their last vaguely dated cues, and the grades of wood and leather have never been finer. We slowly became accustomed to the rotating-wheel controls on the new steering wheel, too. As before, there's some delicately applied subtext--like the winged metallic trim that surrounds the dash vents, and the big LCD screen that glows with higher-resolution graphics. Handling's even softer than before in comfort mode; the Equus' powerful V-8 is smooth and serene. The Hyundai Equus has luxuriant V-8 power on tap, but it doesn't handle with the responsiveness or directness of most large luxury cars. Strong, refined acceleration is the hallmark of the Equus. The 5.0-liter V-8 surges forward with 429 horsepower on tap, and it's coupled to an eight-speed automatic transmission that shifts invisibly, and makes the most of its available power. Acceleration to 60 mph takes about six seconds, in the ballpark of the base Lexus LS--the car the Equus compares with most directly--and not far off the mark set by cars like the base twin-turbocharged Mercedes S 550. 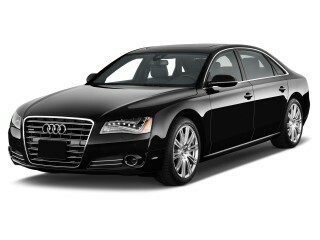 The drivetrain hustles this big sedan up to highway speeds quickly, accompanied by a brawny V-8 burble and ripple. Despite a round of retuning to its adaptive air suspension, the Equus it still doesn't come very close to matching the best of the group in handling. It's most like the Lexus here again, with even softer settings in its "comfort" mode; it rides with pillowy compliance, and not quite enough control. 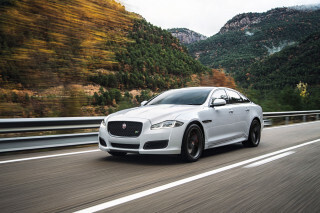 The air suspension feels more confident in sport setting, though it's still nothing that you'd ever confuse for a Jaguar XJ. It feels secure on high-speed sweepers and stable on the interstate, but in tighter corners, the Equus answers with lots of body lean and nose dive. Its electrohydraulic steering is better attuned to more sporty driving, pairing the linear, consistent feel that hydraulics allow with a 'geared-down,' weighted feel on center that allows it to feel precise and easy to place in tight places. 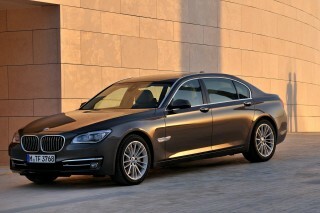 Overall, the sense of driving refinement is excellent. Even with the 20-inch wheels and tires there's no harshness, and road and wind noise are kept away from the cabin. There's not as much seat room in the Equus as in rivals, but fit and finish are excellent at the price. The Hyundai Equus is a flagship, and a convincing one, in terms of interior space and comfort. Hyundai benchmarked the Lexus LS in defining the size of the Equus and its interior trim, and we think it succeeds, while neatly avoiding the firmer fine points of German luxury cars, not to mention their long-wheelbase models. The Equus' front seats aren't heavily bolstered or overly firm. They're ventilated and heated, and incorporate a massaging function to keep drivers feeling fresher over long distances. It's mildly effective, but we'd ask for more under-leg support too--the Equus' seats don't have the extending bottom cushions that we like so much on Mercedes and BMW flagships. This year, the Equus gets a revamped interior with a slightly more subdued treatment and reorganized controls. It works well in context: its Driver Information System uses a knob controller like the ones associated with BMW's iDrive and Audi's MMI, and it's as fiddly and tiresome as those control systems. It disallows any touchscreen engagement, and takes some time to get used to its operation over the infotainment and climate systems. There's a redundant screen in the gauges that allows drivers to choose an alternate view--say, navigation on the big screen, music on the smaller one--and that can help minimize the confusion. This year, both Equus Signature and Ultimate models come with a three-person bench seat and a redesigned console that folds down from the middle position. With rake adjustment, as well as ventilation and lumbar control, they're a step above the seats in most other competitively priced vehicles, but lack the complete first-class reclining chairs (with tray tables!) 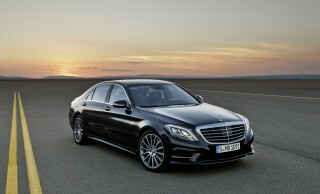 of the new S-Class, for example. There's lots of legroom and headroom by conventional standards, and the Equus is wide enough to fit three across. Expectations are met up close as well; walnut or birch trim accents the instrument panel, and the cabin is trimmed out with fine leather. The headliner's sueded, just like the headliners in the top-line Jaguars, and the center console is framed in wood, with matte-metallic accents. It's all coordinated quite well, and more conservative than overt. A Top Safety Pick, the Equus factors in plenty of safety technology--but the NHTSA hasn't weighed in just yet. The Equus meets high standards for crash safety from at least one of the two agencies that regularly ruin perfectly good new cars. It also brings with it a useful array of safety technology, and favorably compares with some of the luxury cars it calls out in ads. In addition to the usual airbags and stability control, the Equus also has front and rear parking sensors, adaptive cruise control, a rearview camera, and a lane-departure warning system. The latter system tightens the seatbelt when it detects a drift out of the driving lane. We're not the biggest fans of these systems, because the haptic feedback can be distracting in sporty driving, yet turning it off defeats its very purpose. This year, the Equus also has a standard collision-warning system, and new blind-spot monitors with cross-traffic alerts. Ultimate models also get a surround-view camera and a head-up display. Although the Equus still hasn't been tested by the federal government, it's been given top 'good' scores in every category of testing from the Insurance Institute for Highway Safety (IIHS), and it's earned Top Safety Pick status. Some offerings in this class do offer all-wheel drive--thought of in some very limited situations as a safety feature--although that's not an option on the Equus. White-glove service and a great warranty join up with an outstanding list of features in every Equus. 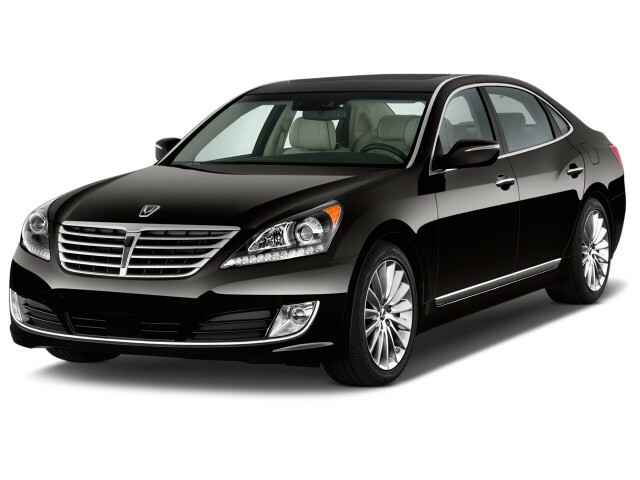 The Equus is Hyundai's most lavishly equipped vehicle, even in the base Signature edition. If there's a missing feature somewhere, it's lonely. For $61,920, the standard-issue Equus is anything but that. It includes the usual power features, cruise control, air conditioning. Beyond the basics, it's a full-boat approach, with standard leather upholstery and wood trim; a moonroof; three-zone climate control; adaptive control for the cruise; front and rear parking sensors; a pre-collision warning system; high-intensity discharge headlamps with LED running lights; a rearview camera; heated and cooled front seats; and a heated steering wheel. On the connectivity front, the Equus' Bluetooth also streams audio, and integrates into its infotainment controller--one of the knob-driven systems that doesn't respond to screen touches and blocks many functions when the car is moving. We long for a more freewheeling time. A navigation system with real-time traffic is standard, as is a glorious 598-watt Lexicon audio system with 17 speakers. On the $68,920 Equus Ultimate, a finer Lexicon system is standard, along with surround-view cameras; a cooled bin between the rear seats; power-recline rear seats with power headrests; a soft-close system for doors and the trunklid; a twin-screen rear-seat entertainment system; and a 12.3-inch-wide TFT screen that replaces the gauges with beautifully rendered digital replicas. Hyundai understands that Equus owners will have a completely different level of expectations compared to Accent or Elantra shoppers, so it's offering specially tailored showrooms, at-home demos, and personalized valet services, with scheduling available to have the vehicle picked up or dropped off to home or work. Fuel economy's not a bright spot; Hyundai's big V-8 isn't frugal, not even with an eight-speed automatic. Gas mileage is a lower priority than luxury in the Hyundai Equus, which comes in a sole drivetrain configuration--unlike the cars it names as competition. The 2014 Equus posts EPA-certified fuel economy of 15 miles per gallon city, 23 miles per gallon highway, or 18 mpg combined. Its sole source of power is a 5.0-liter V-8, and since it's coupled to an eight-speed automatic, the numbers are about as good as they can get. In real-world use, we've seen as much as 18 mpg in a mix of canyon runs and interstate strafes. 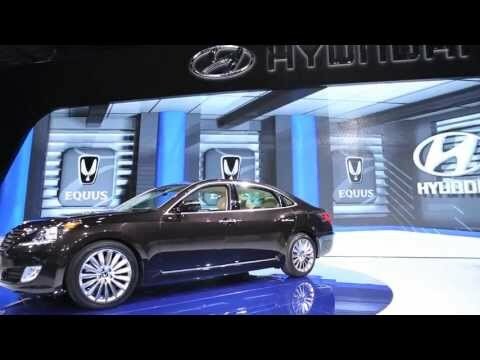 Hyundai has other hybrid vehicles, but no such model is planned for the Equus lineup. This car is phenomenal. SPEED: The 429 hp can really be felt. You can take off the traction control and put into sports mode and it'll really jump! DRIVER MODE: Normal, Sport & Snow DRIVER DISPLAY: The... This car is phenomenal. SPEED: The 429 hp can really be felt. You can take off the traction control and put into sports mode and it'll really jump! DRIVER DISPLAY: The heads-up display shows current speed, cruise speed, lane departure lives & blindside warnings and GPS directional arrows with mileage. SMART CRUISE: The smart cruise control is ideal in those traffic jams. LIGHTS: The headlights curve as you turn. The fog lights add more visibility. The rear indicator lights are brighter and yellow. SIDE MIRRORS: When parking the side mirror automatically fold in (you can also manually fold them in too). When in reverse you have a rear camera, bird's eye view and the side mirrors automatically rotate downwards to see the lives for parking. They also automatically defrost and have yellow indicator lights on the front. WELCOMING: When you walk to the car when it's locked there are lights below the side mirror which light up & fold out before you unlock the doors (without removing the key or having to press a key). When you open from the passenger side or rear doors all the doors will unlock. Once inside you feel all the affects of luxury. The Equus logo appears on the driver display and plays some music. Once you start the vehicle the same logo appears on the large screen. SCREENS: A large screen in the front and two 9.8" (I think that's the right size) for the passengers. They are located on the back of the driver and front passenger's headrest. SHADES: The rear shades and rear passenger shade are all automatic. The side door shades actually descend into the door when they are pressed down (by the window button). DOORS: If they are closed with a slight gap the doors will automatically pull them in for a full close. They are solid and heavy doors. SEATS: Power seats are adjusted from the door panels. The driver does have 2 memory options that can be set. Also all seats (except the rear middle seat) have a/c and heating for your bum. This is in the leather seats (idk if there is a cloth option). The front passenger seat can be adjusted by pressing buttons on the left side of the chair (can be initiated by the driver or the rear passengers). AUTO HOLD: This button allows you to take your foot off the brake. It will be released once you push on the accelerator. Nice option for city driving. TRUNK: Find it very large. Hold two golf bags and two sports duffle bags. Also is a power trunk controlled by the key, below the steering wheel and on the trunk. RIMS & WHEELS: 19" rims with great finish & the logo. The rear tires are wider than the front two tires. It is REAR wheel drive. SOUND: 17 speakers that is a 598 watt Lexicon 7.1 Discrete Surround (there is a youtube about it's quality). This is an absolutely fun ride! Looking for a different year of the Hyundai Equus?